Every woman deserves as well as desires to look gorgeous, no matter what stage of their life they are. But, as the clock ticks away the youthfulness and plushness of face, we all seek different means to retrace back that lost beauty. Wrinkles, lines, and folds are the very first signs of emerging old age, which are later followed by pigmentation, age spots, etc. Expensive cosmetics and serums may procrastinate the initial signs of ageing for a couple of months, but, ultimately it becomes really difficult to halt the inevitable. That is when a visit to an experienced and skilled cosmetic physician is much needed. To salvage the youth and elasticity of skin, there are numerous anti-ageing treatments that have been introduced till date. Hence, only your aesthetic expert will be able to suggest the best course of action for your skin after a thorough consultation. 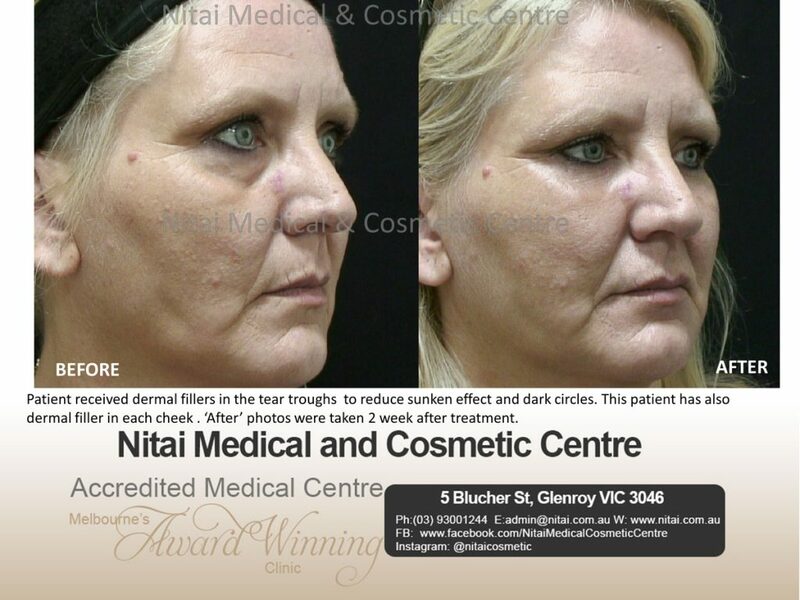 At Nitai Medical and Cosmetic Centre in Melbourne, we believe for every single sign of ageing, there are distinct treatments. So, if it is the most common symptom like fine lines, wrinkles, etc. our premium quality anti-wrinkle injections are the best approach. These anti-ageing injectables not only remove the creases but also bestow a refreshing look which is highly admired by our patients. Now, let us find out more about this miracle treatment that remarkably reduces the appearance of dynamic wrinkles and helps you feel young again. When is this premium quality anti-wrinkle injection prescribed to patients? As time passes by, our facial skin loses its elasticity and the inner facial muscles grow weak. In such a condition, whenever our facial muscles contract, it starts taking longer time to relax back to its original position, which results in formation of lines and wrinkles in the face. These unwanted temporary creases are called as dynamic wrinkles such as the forehead lines, crow’s feet, etc. But, as the number of years add up, the lines and folds become quite permanent and then, they are acknowledged as static wrinkles. Our anti-wrinkle injections work best over dynamic wrinkles in the upper face area, which includes, frown lines, forehead lines, crow’s feet, glabellar lines, etc. What exactly does this anti-wrinkle injection consist of? This anti-ageing injection is prepared from a special type of purified protein extracted from certain lab-cultivated bacteria. It actively stops the occurrence of wrinkles and folds and rejuvenates the skin. Generally, any sort of anaesthesia is not required during the treatment, but if your skin is very much sensitive, then your practitioner might infuse a mild anaesthesia along with it. How does the wrinkle removal injection work? For the anti-wrinkle injections to work effectively and to avoid any kind of error, it is very crucial to select the precise wrinkle-causing facial muscles. Then, the liquid injectable is inserted in those specific muscles with the help of a fine needle. The injected drug then relaxes that muscle thus, completely stopping it from contracting and causing unwanted wrinkles. Without the constant formation of creases, the face looks young and glamorous. Generally, to complete a session, the anti-ageing treatment needs only 10-15 minutes. And only one session is enough to complete the procedure. However, your physician might refer a few follow up sessions to check on the progress. When does the anti-ageing injection start showing results? For the effect of the anti-wrinkle injection to surface, it might take nearly 1-2 days. But, only after a lapse of full 10-12 days, the full action of the treatment can be witnessed. Does this anti-wrinkle treatment require any downtime? Not really. Once the whole procedure is over, the patient may resume the daily work without any discomfort. So, no downtime is required for this wrinkle removal treatment. How long does the effect of the anti-wrinkle injection sustain? From what we have observed in our patients at Nitai Medical and Cosmetic Centre, the effect of the treatment lasts perfectly for four months. After that, though the folds and creases start re-occurring. But, the patients who repeat the anti-wrinkle treatment in precise intervals have better and longer effect. In proper dose with perfect skills of your physician, this premium quality anti-wrinkle injection produces negligible concerns. But, in some cases, this injection might cause subtle discomforts which are temporary and ebbs away within a week. To find more such details, read our blog Let Us Dig Out All the Minor Details on Anti-Wrinkle Injections! Even after a week if the above-mentioned symptoms persist, then it is best to refer to your physician immediately. 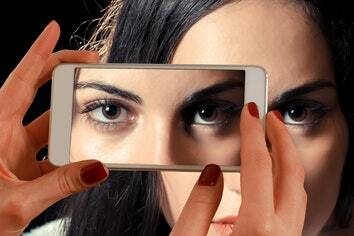 Can this anti-wrinkle injection be used in collaboration with other aesthetic treatments? The anti-wrinkle injections are usually used along with other anti-ageing or skin treatments such as dermal fillers, laser therapy, etc. for enhanced results. But, only after a proper consultation from a skilled practitioner, it will be clear which combination treatment is right for you. These cosmetic injectables might cause drastic changes in your facial appearance, so before making any decision, we recommend undergoing a proper consultation from a licensed practitioner. 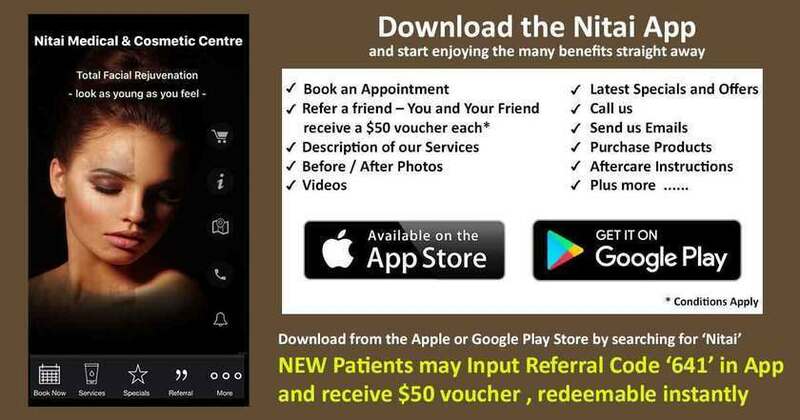 If you have any other query or doubt in the matter, feel free to get in touch with us at (03) 9300 1244 or 0402293726 or visit us at www.nitai.com.au. Let Us Dig Out All the Minor Details on Anti-wrinkle Injections! Ageing is a natural process and we all are aware of it. But still, as soon as the signs of ageing start appearing, we desperately seek ways to reverse it and rejuvenate our skin. After all, it is the period of panache and beauty, when everybody desires to look and feel attractive and alluring. Even though there are numerous surgical anti-ageing treatments available, but the risks, pain and exaggerated price of the treatment processes does not make it worthwhile for our many patients. Hence based on the capital feedback of our patients, at Nitai Medical and Cosmetic Centre, we recommend our premium quality anti-wrinkle injections to our most clients. But, what exactly is this premium quality anti-wrinkle injection? How does it help? You need to understand all such trivial facts before undergoing this anti-ageing treatment. Why do we get wrinkles and folds when we age? It is a commonly known fact that our cell regeneration process slows down as we age. This theory extends to our skin cells also. As time passes, the creation of structural proteins and fats slow down, as a result, consistent loss of collagen and elastin (structural proteins), and fats occur which reduces the elasticity of the skin. Apart from that, our facial muscles also become weak as we grow. Therefore, when our facial muscles contract, it takes time to retreat back to its initial position, leaving behind lingering impression on the skin, which are termed as dynamic wrinkles. What sort of wrinkles are erased with the help of anti-wrinkle injections? Anti-wrinkle injections work best upon dynamic wrinkles, which occur in our face when we create expressions like frown or smile. 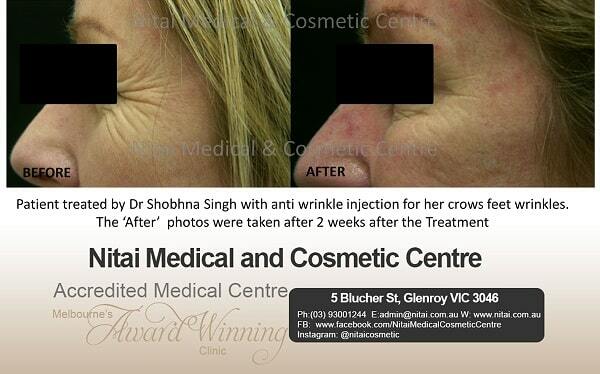 As anti-wrinkle injections are injected into facial muscles to prevent the occurrence of wrinkles, they prove most effective in removing crow’s feet, frown lines and forehead lines. How does our premium quality anti-wrinkle injection work? To fix the unwanted display of lines and creases, our premium quality injections relax the wrinkle-causing muscles, thus, remarkably, diminishing the occurrence of wrinkles and folds and rejuvenating the skin from within. 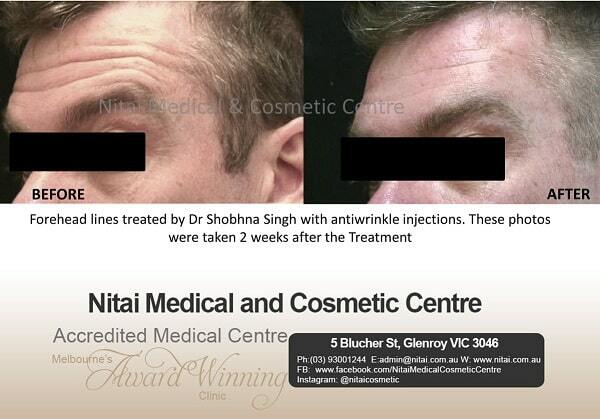 What does the premium quality anti-wrinkle injection, used in Nitai Medical and Cosmetic Centre, consist of? At Nitai Medical and Cosmetic Centre, a special type of protein synthesized from a type of lab-cultured bacteria is utilized. The protein is meticulously treated and only after myriad tests on its effectiveness and security, it is released for commercial use. To know more about the wrinkle removing injections, read our blog, an account on wrinkle removal injections. In some special cases, anaesthesia is also added to avoid any sort of discomfort in the ongoing treatment. How to ensure the maximum and secured effect of this anti-wrinkle injection? This anti-ageing injection works only on the precisely injected muscles, the rest of the area remains completely unaffected. Hence, it is important to seek such anti-wrinkle treatment from a specialized cosmetic practitioner, at a licensed skin clinic. Also, it is required to continue the treatment after every four months (approx.) as the effect of the anti-wrinkle injection subsides within that period of time. But, with continuity of the treatment, the result of the anti-wrinkle injections last for longer time. This wrinkle removal treatment gets over in a couple of minutes only. When done by an experienced cosmetic physician, it only takes 10 to 15 mins to complete the whole wrinkle removal treatment as it comprises of just one session. When can one expect to see improvements? After 1-2 days of the treatment only, one can see subtle changes in the appearance of wrinkles. But, for best results, one will have to wait for at least 10-14 days. Although, it should be taken into consideration that result of the treatment varies from person to person depending on the type of treatment and skin requirements. What are the common side-effects of anti-wrinkle injections?  Headaches, nausea and flu-like symptoms might also appear. These symptoms are not very grave and are reported to fade away within a week. What special precautions to be taken after the anti-ageing treatment? Your practitioner will be able to instruct you properly about what specific safety measures need to be taken. Apart from that, we would suggest refraining from rubbing or applying pressure in that area for the next 4 hours at least. Is it possible to use the anti-wrinkle injection in combination with other cosmetic treatments? Many clients of ours, prefer customized facial treatments that take care of the total appearance of the face. In those cases, anti-wrinkle injections are combined with dermal fillers and double chin removal injections to augment the overall impact. 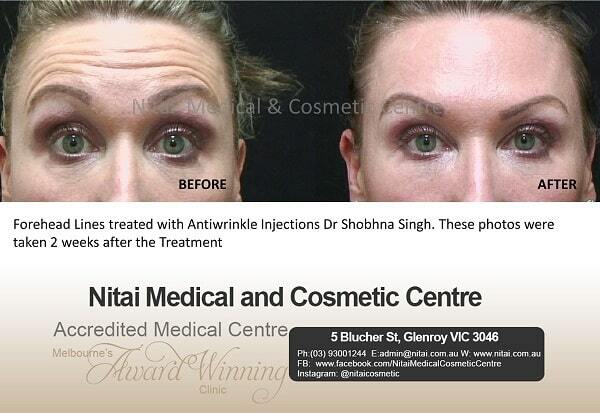 For further details on anti-wrinkle injections and related treatments, explore our website www.nitai.com.au. The general parameters of beauty are high cheekbones, fuller lips and lively eyes without any hint of dark circles or eye bags. But, with hectic and erratic lifestyle ahead, it becomes truly difficult to maintain those parameters. Wrinkles, vertical lines on lips, thin and flat lips, under eye circles, hollow cheeks and under eyes mitigate the charm and vivacity of the face, thus making us look old and haggard. Albeit we desperately desire to eliminate every single of those flaw with available anti-aging treatments, but there is always that fear of ending up with a completely artificial and puffed up look. 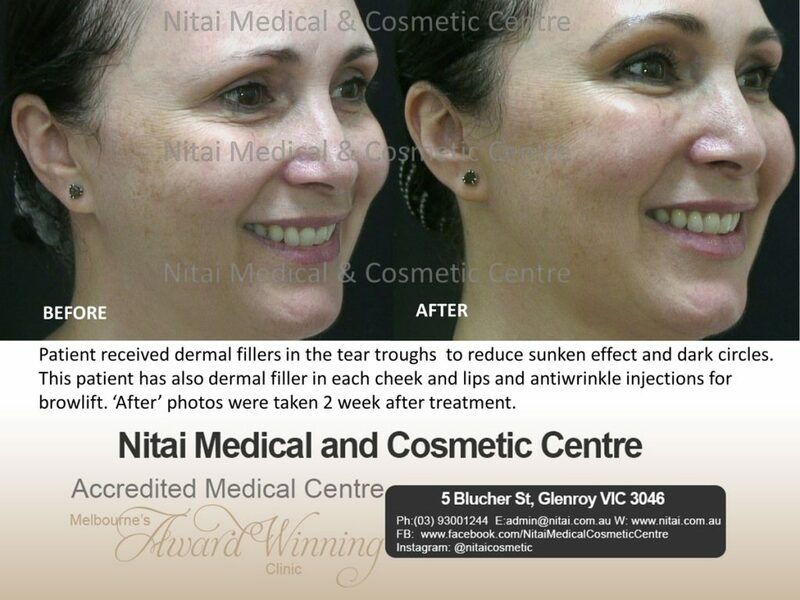 So, to acquire a very natural and rejuvenated look that almost all women in Australia prefer, at Nitai Medical and Cosmetic Centre, we recommend giving dermal fillers a chance. What are dermal fillers? How do dermal fillers improve our facial features as well as remove wrinkles while retaining our natural look? 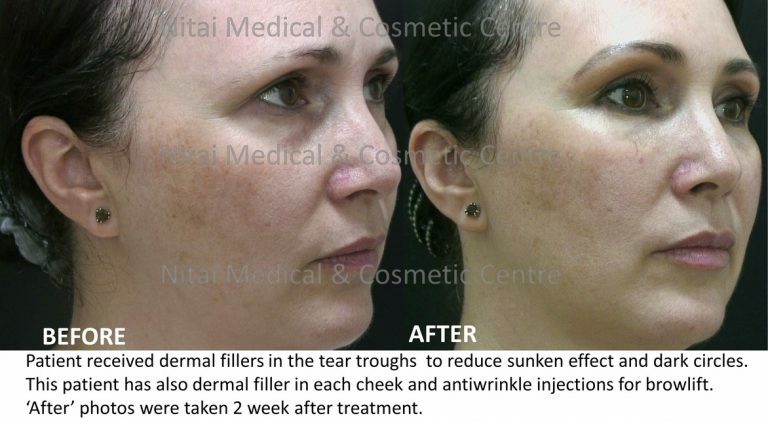 Dermal fillers are gel-based compound formed by replicating the chemical structure of natural collagen that plumps up as it comes in contact with water, hence when the dermal fillers are injected in the hollow regions of face, it interacts with the water content present in the inner epidermal layers and slowly puffs up, thus refilling the lost volume in cheek, eye areas, lips, etc. Unlike many anti-wrinkle injections that freezes the wrinkle-causing muscle, facial fillers fill up the gap within the skin, which appear as wrinkles, thus, leading to a soft and smooth skin in a few days after the treatment. Moreover, the contours of the face can be enhanced and added volume to, with the help of facial fillers rendering a completely natural appearance. When are dermal fillers prescribed to a patient? At young age, our faces are padded with delicate fat layers, which gets dissipated with time. As a result, being devoid of the cushioning of fat layers, cheeks, under eye areas and lips appear bony, thin and lifeless. In such conditions, facial filler injections are prescribed to add volume to the shrunken skin and hydrate the skin revealing a plush, young face. 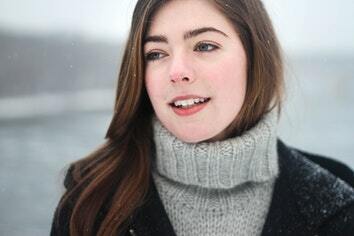 Again, with age, the collagen and elastin responsible for the elasticity of the skin are lost, henceforth, when we smile or frown and our facial muscles contract, it takes longer time to retreat to its former position. Thus, leaving behind a trail of wrinkles, frown lines, nasolabial folds and other fine lines which spoil the facial appearance. In such a case, patients are referred to opt for dermal fillers as their anti-aging treatment because dermal fillers fill up the wrinkles and folds and slowly boosts the collagen formation in skin. Thus, generating soft, natural-looking, youthful skin. How do dermal fillers help in enhancing the facial features? In our face, the cheeks, lips, brows, temples and jawlines are a few marked areas where the volume loss is prominent. Over time, these areas lose their sharpness and appeal, for instance, the lips get thinner and flatter, eyebrows start drooping, and as such. Dermal filler injections give a subtle lift that rectifies these errors of aging impeccably. Apart from that, anyone, irrespective of his/her age can define the outlines of lips or make the arch of the eyebrows more pronounced with the help of dermal fillers. Thus, dermal fillers recapture and enhance the tenderness of the delicate facial features. Lips being an important part of our beauty profile, women of all age want to be blessed with soft, pink, and plump lips. Unfortunately, not everyone is born with defined and fuller lips, hence, dermal fillers fix that issue conveniently, without any discomfort. With the efficacy of the fillers, the arch and the outlines of lips can be emphasized and perfected. At the same time, it gives lips the required volume to make them appear lush and reduce the appearance of vertical lines that cast an elderly look. Hence, dermal fillers are the best tool for lip augmentation or lip enhancement. Dermal filler adds volume beneath the wrinkled skin, thus smoothening the upper skin layer and making it appear supple and hydrated. The wrinkles and folds are visibly reduced after the first session of the treatment. Nasolabial folds, frown lines, etc. are very competently removed with the help of fillers as filler gel lifts up and tightens the skin from inside. Also, the result of the anti-aging lasts for nearly 18 months depending on the quality and area on which the fillers are injected. How are dermal fillers different than anti-wrinkle injections? Dermal fillers restore the lost volume of the skin, diminishing the folds and lines in the process. This synthetically produced injectable gel is also regarded as one of the most effective non-surgical anti-aging treatments as it multiplies the collagen build-up, regaining the elasticity of the skin. So, by choosing dermal fillers, one can not only ease out static wrinkles but also rejuvenate and refresh the skin internally. Whereas, in case of anti-wrinkle injections, the injected liquid relaxes the specific facial muscles that cause creases, thus, limiting the appearance of dynamic lines and wrinkles. 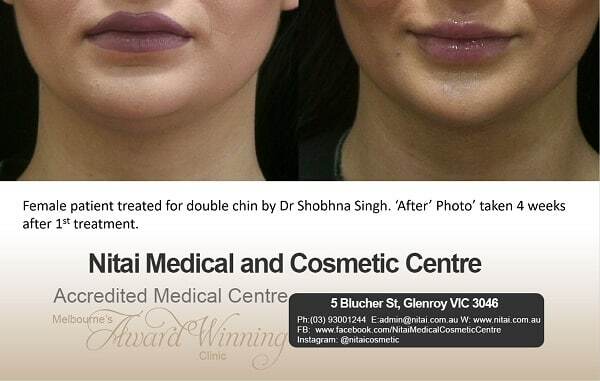 Henceforth, the professional dermatologists of Australia prescribe dermal fillers to those seeking to perfect their overall facial features by rectifying volume loss as well as folds rather than simply erasing the occurrence of wrinkles and lines. How much time does it take after the treatment to show the results? Immediately after the treatment, subtle changes can be noticed but with time, the hyaluronic gel draws water and expands in mass, thus, making up for the lost volume. When done under the supervision of a skilled dermatologist or cosmetic physician, the effect might last for around 18 months or sometimes more than that depending on the quality and amount of filler used. How much time does it require to finish the procedure? Dermal filler generally takes 15 – 30 mins to conclude the procedure. Sometimes anaesthesia is also infused with dermal fillers to avoid any sort of discomfort, so, no downtime is required to lift the unwanted wrinkles and embrace a serene and natural beauty. A research conducted by Allergen on Australian women in 2017, divulged that around 53% of them believe that injectable dermal filler treatment presents a natural and lasting result. So, for natural looking beauty, give the non-surgical filler injections a chance! Appearing like 20s in 40s is definitely not possible but looking fabulous in forties surely is. In Australia, nowadays, women are more focussed on possessing a natural yet glamorous look, that’s why the demand for facial fillers is increasing day by day. Dermal fillers fill the hollow regions under eyes, cheeks and around lips, thus, improving or enhancing the overall facial appearance with a subtle yet remarkable touch. 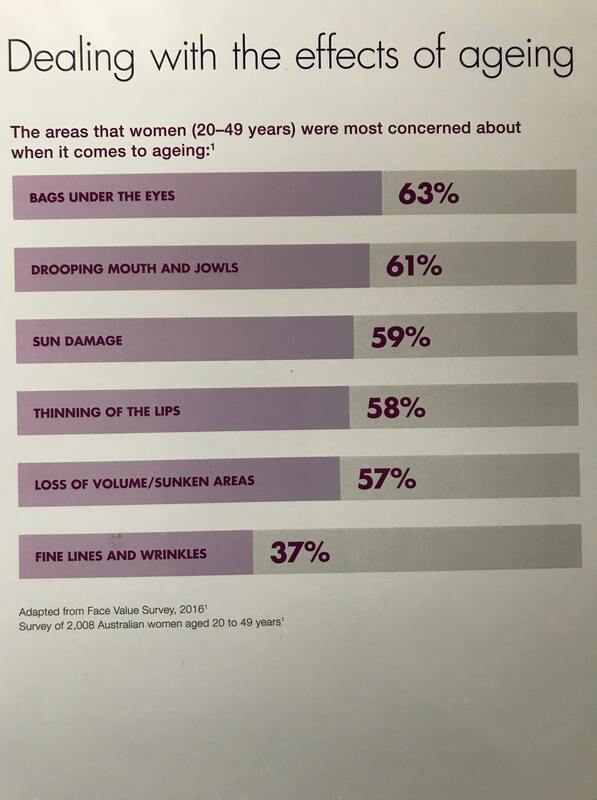 According to a survey conducted by Allergen in August 2017, 65% of Australian women believe that facial fillers or dermal fillers are more acceptable in present society than they were five years ago. Hence, people are getting more and more inclined towards using this anti-aging treatment with facial fillers. 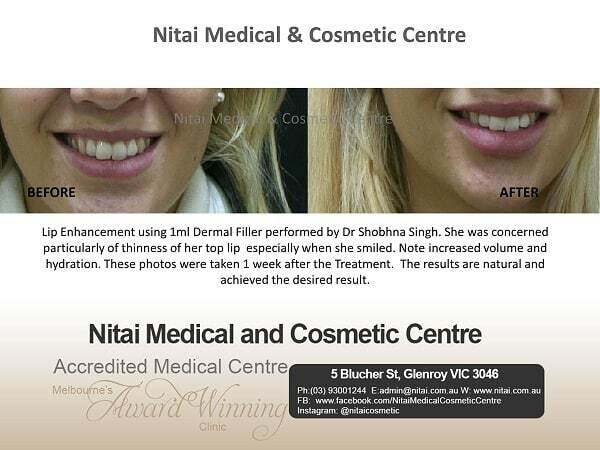 At Nitai Medical and Cosmetic Centre, we use one particular type of dermal filler also known as hyaluronic acid injectable gel, which is extremely safe and has emulated remarkable results. Still, alongside the benefits of this gel as a filler, there are numerous other vital queries about its safety, precautions and side-effects that we need to be aware of prior to starting the sessions. So, let us explore all the details about hyaluronic dermal fillers. What is this advanced type of dermal filler? Created from a complex sugar content called hyaluronic acid, also found in living skin tissues, the dermal filler mimics the naturally found collagen. The dermal filler that we use is not synthesized from animals, instead, it is artificially generated in the laboratory, thus mitigating the chances of any sort of allergy or inflammation. The hyaluronic dermal filler is also infused with a liquid anaesthetic to obliterate even the slightest trace of pain or discomfort in the ongoing sessions. The hyaluronic acid is a hydrophilic compound, which means it has a huge affinity for water. So, when the dermal filler containing hyaluronic acid is injected into the skin, it draws the water content present beneath the skin and puffs up over time increasing the volume of that area. Thus, it helps in removing wrinkles and folds as well as enhance and magnify the attractiveness of face. Immediately after the treatment, subtle changes can be noticed but with time, the hyaluronic gel draws in water and expands in mass, thus, making up for the lost volume. When done under the supervision of a skilled dermatologist or cosmetic physician, the effect might last for up to 2 years depending on the type of fillers used. What amount of time is taken to finish the whole procedure? This dermal filler takes 15 – 30 mins to conclude the procedure. Since anaesthesia is also fused along with the hyaluronic dermal fillers, no downtime is required as it hardly causes any discomfort or side-effects that might interfere with the everyday routine of normal activities. With age, our lips lose its volume and become thin and flat, thus, dissipating its allure and beauty. Also, the edges of the lips droop, vertical lines are formed and the cupid’s bow (V-shaped curve on the upper lip) flattens out as the harsh effects of time starts appearing. In such a case, to enhance the borders of the lips or to plump up the lips, dermal fillers are the safest and effective option without any downtime or painful surgeries. Lines and wrinkles in our face is a way of our body letting us know that we are approaching towards old age. Due to collagen loss, our face loses its elasticity and hence, after we frown or smile, the skin muscles take time to relax back to its former position. That is when we start noticing lines and wrinkles that we genuinely want to be rid of. Dermal fillers boost the regeneration of collagen beneath the skin, hence, with this anti-aging treatment, we not only increase the volume of the face in the required areas but also repairs the skin from within by reducing all the signs of aging. Anti-aging treatment with facial fillers is extremely safe in comparison to other alternatives available. Moreover, the hyaluronic acid gel used in this particular type of dermal filler is artificially derived, therefore, there is a negligible chance of any sort of allergy or infection. However, sometimes, some general side-effects might occur such as slight redness in the site of injection, pain, bruising, lumps, itching or discolouration. But, these are temporary concerns that fade away within a week. Can dermal fillers be used in combination with other skin treatments? For transcending results, hyaluronic dermal fillers can be paired up with other cosmetic treatments such as anti-wrinkle injections, laser therapy, etc. such that the whole face is rejuvenated. What are the precautions that must be followed after the treatment? • Try to avoid putting pressure on the treated area or massaging the face for the next 24 hrs. • For the next two weeks, avert direct sun exposure or extreme temperatures. Other than that, apply broad range sunscreen regularly while heading out for the day. • Also, it is suggested not to apply any sort of make-up for the next 12 hrs after the treatment. Re-discover the old, pretty and confident YOU again!